Our company exhibited our products at the Tokyo Auto Salon 2019 which was held at the Makuhari Messe International Conventional center from January 11, 2019 through January 13, 2019. 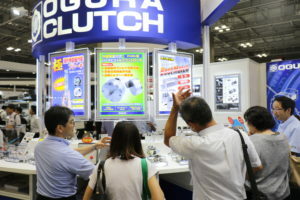 We introduced a few new clutches, such as metal single for SUZUKI Swift Sport, metal single for HONDA Civic Type R, metal twin for Audi S1, and the clutch for the new Jimny (under development). As in the previous year, the drivers of Inter Proto Series, Kyojo Cup and TOYOTA Gazoo Racing took part in the interview. There was also an interview with Tatsuya Kataoka, the leader of T’s Concept team which participated in the Pirelli Super Taikyu Series. The interview was hosted by Ogine who took part in Kyojocup and included such amazing racers as Daisuke Toyota as well as Toshihiro and Taiki Arai, a father and son racers. We displayed two vehicles, TOYOTA 86 which was used at the TOYOTA GAZOO Racing Rally Challenge, and TOYOTA 86 which was used at the Pirelli Super Taikyu Series. 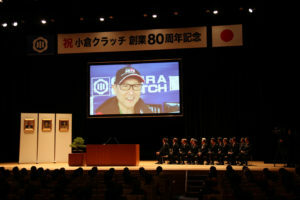 The latter one is especially precious, because the final race in Okayama was the first official domestic race for the racer Morizo as the president of Toyota Corporation Akio Toyoda. We want to thank everybody for your continuous support and for visiting the exhibition. 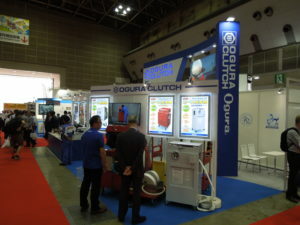 On December, 1st (Sat) Ogura Clutch Group held the 2nd Annual International Competition of QC Circles. 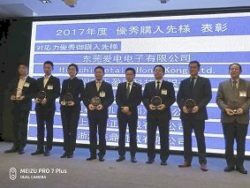 Five oversea divisions competed in the competition: Ogura Corporation (USA), Ogura Clutch Dongguan Co. Ltd (China), Ogura Clutch Wuxi / Changxing Co., Ltd. (China), Ogura Clutch Thailand Co., Ltd. and Ogura Clutch India PVT. LTD. Ogura Clutch Japan sent two teams: one from the No. 1 plant and the other from Akabori plant. These seven teams made presentations on their QC improvement activities. The common theme for all teams was the productivity and quality improvements. 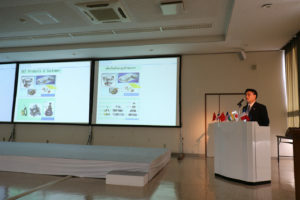 All teams showcased various unique improvement activities, but in particular the team from Ogura Clutch Thailand CO., LTD, Mupa Circle who utilized improvement methods such as ECRS (Eliminate, Combine, Rearrange, Simplify) and Process Balance with performance indexes such as Man-hour per Piece and Process OEE, was recognized as the winner and awarded the champion trophy by Mr. Ogura. 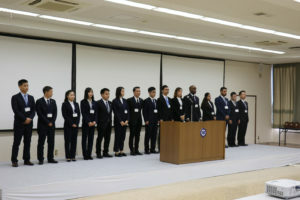 The Excellence Award plaques were awarded to other six teams as well at the conclusion of the competition. 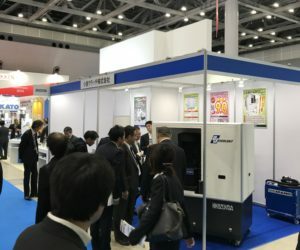 Our company participated in the 29th Japan International Machine Tool Fair, which took place from November, 1st (Thu) to November, 6th (Tue) in the Tokyo International Exhibition Center (Tokyo Big Sight). 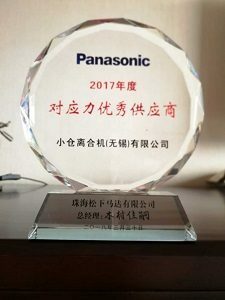 Our company participated for the second time and this year we presented our oil mist separator and air blower in addition to our most recent Super High-pressure Coolant equipped with 20MPa Screw Pump. 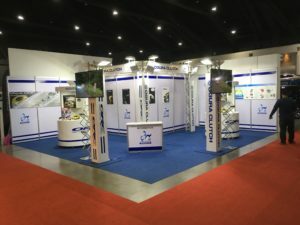 Many visitors showed an interest in our latest technologies and expressed their opinion directly to us, which made this exhibition a significant event. 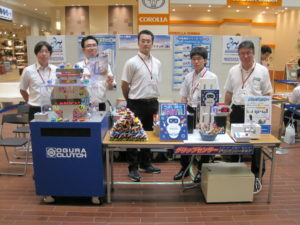 On September, 1 (Sat), the Mechanical Fair 2018, organized by Japan Society of Mechanical Engineers, Gunma Block was held at Haruna Plaza on the first floor of Smark Isezaki. Our company displayed two demonstration machines: so-called Grasping Grasper, the one with a torque sensor which is currently under development at our Engineering Headquarters, and the other one with the elevator brakes, resembling a roulette. 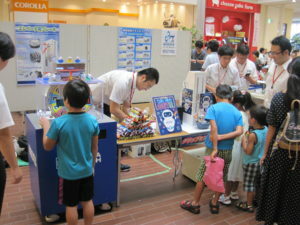 Elementary, middle and high school students who visited the event were trying to grasp candies and sweets without crushing them by feeling the sensation transmitted by the torque sensor to the operating lever. They were shouting with joy the number of prizes determined by operating the switch (roulette) of the elevator brake demonstration machine. By actually operating the demonstration machines, the students were able to get the feeling of the machines, and they got interested in their mechanisms and principles. We finished the Fair with great success. We think that participation in this event may have helped children to experience the fun of science and technology and to expand their interests. 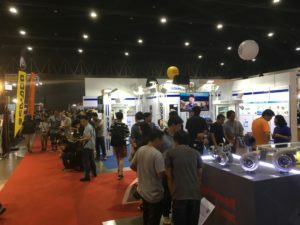 The Bangkok International Auto Salon 2018, the event for customized cars, was held for five days from 07/04 to 07/08 at the Impact Challenger Hall in Bangkok, Thailand. We participated in this event for the third time. 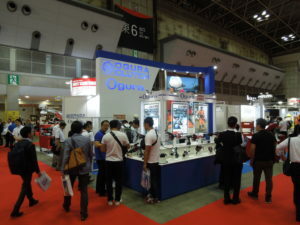 Our company exhibited two products, the ORC racing clutch and the Arugos carbon fiber reinforced clutch for import cars. 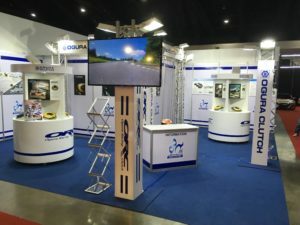 By having not only our pamphlet on the reinforced clutch and the exhibition panel but also the explanation panel on our other products written in the Thai language, we could introduce our company as the one with a wide range of technologies, various products, and a great history. Also, we had our 80th-anniversary logos scattered through the booth, which gave it a bright, clean look and attracted more visitor. 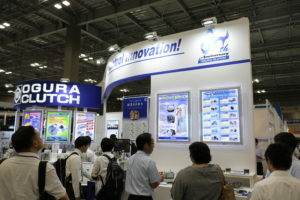 Our company took part in the 22nd Mechanical Components and Materials Technology Expo which was held from 06/20 (Wed) to 06/22 (Fri) at the Tokyo Big Site. 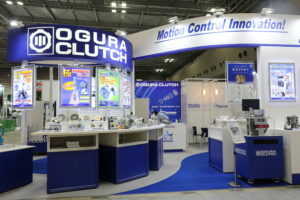 We showcased clutches and brakes for general use, which are our essential products, and other new products and demonstration devices. Many visitors showed a great interest in our demonstration of a robot arm as well as in the new non-excitation operation brake and other latest technologies. Our company took part in the Tokyo International Fire and Safety Exhibition 2018 which was held for four days from 05/31/2018 to 06/03/2018 at the Tokyo Big Sight. We could showcase a labor-saving fire hose washing device which is our essential product as well as a small hydraulic rescue tool called Multi-cutter and other latest equipment which meets the needs of recent years. 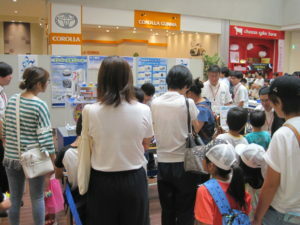 Sharing the information with other participants made this exhibition very meaningful. 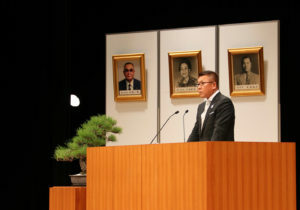 On May 25th, 2018 the 80th-anniversary ceremony and commemorative event were held at the Silk Hall of the Kiryu Performance Arts Center. 1200 people including business partners, local dignitaries and employees of our company and group companies participated in the ceremony and in the first part of the commemorative event. In the second part of the commemorative event, 1300 people including employees’ families and families of employees of our business partners enjoyed celebrities’ performance and singing. From now on our company is going to continue making progress with pride, responsibility, and hope in order to celebrate the next anniversaries. 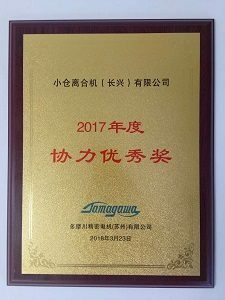 Last quarter, Ogura Clutch Co. Ltd. China(OCC) received the Excellent Coopera-tion Award from Tamagawa Precision Machinery Co., Ltd. At the end of 2017,Tamagawa had a large increase in small motor production, which made it very difficult to procure related parts. 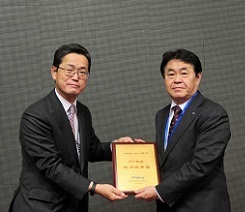 OCC was recognized as a vendor that provided prompt servie and products to help Tamagawa meet this production surge. Additional production increases are projected in the currentc fiscal year and OCC is increasing production ca-pacity to meet Tamagawa’s delivery and quality requirements.